We'll Get Right to the Point - Together, We Make Memories! 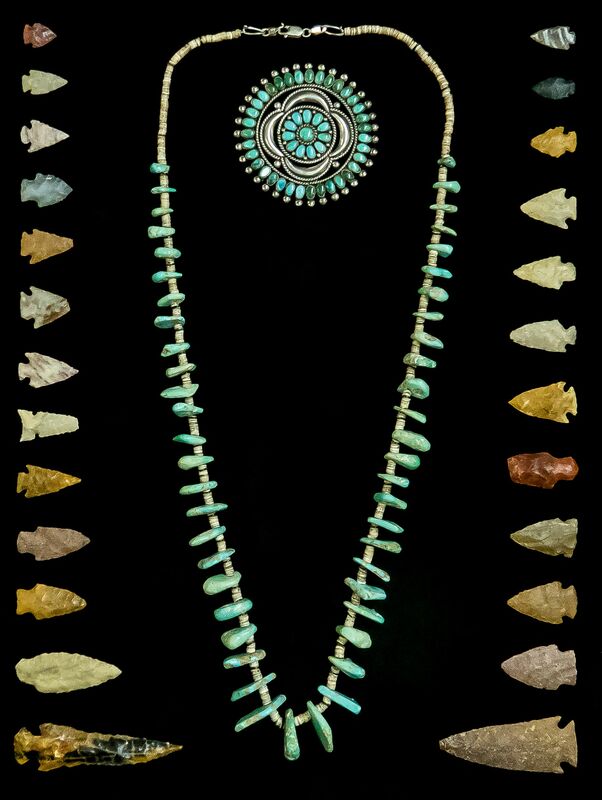 A wonderful client had her father's arrowhead and turquoise collection that he had painstakingly amassed. Naturally, it had tremendous significance to her, but how to present it in such a way that she could enjoy it every day, in both it's historical and sentimental aspects? We share the love and admiration that makes this collection so special to our client, and so we took great care, both in coming to a design and framing solution together with our client, who was knocked out by the design and especially the precision and care that was taken with this design. It's the same care and precision that we bring to every project we embark on together with our clients. How can we show these elements off to their best advantage? How can we create an heirloom that will be handed down for generations, that will be admired by everyone who comes in contact with it? It's the same frame of mind that we will bring to your project when you bring it into our gallery to be worked on. We look forward to seeing you soon!